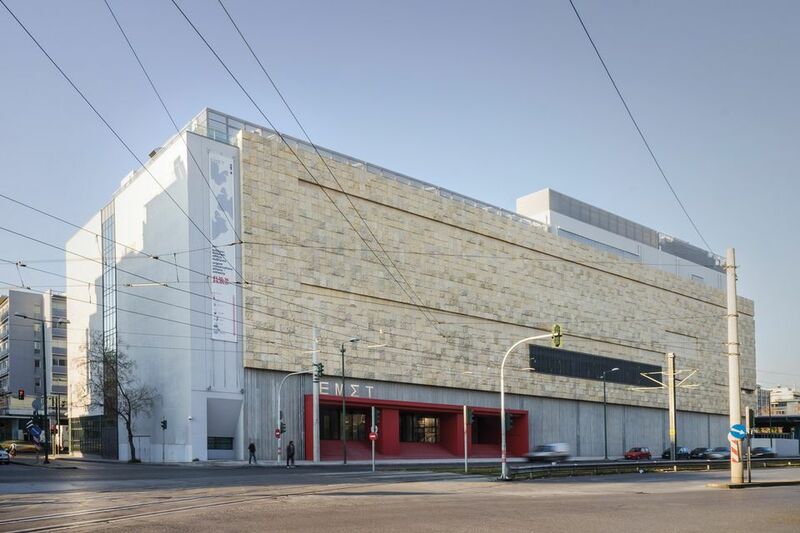 The National Museum of Contemporary Art, Athens (EMST), will finally open in full “in the first half of 2018”, says its director, Katerina Koskina. The beleaguered institution, which has been stuck in limbo for years, was the commissioner of the Greek pavilion at this year's Venice Biennale and one of the main venues of Documenta 14 in Athens. A selection of works from the museum's own 1,150-strong collection went on show at the Fridericianum in Kassel as part of the second leg of the quinquennial, which closed in September. EMST was founded by the Greek government in 1997 and began operating in temporary premises in 2000, but could not move into its permanent home, the former Fix brewery, until May 2015. Despite the soft opening of the temporary exhibition galleries in October 2016, half of the building has remained empty as the museum lacked important state approvals, as well as the funds, staff and infrastructure to fully operate. In August, a presidential decree established the legal framework for the museum to “function properly” and the government has since agreed a much-needed funding boost to cover new staff appointments, Koskina says. From a skeleton operation run by 18 people in April, when Documenta 14 opened, EMST now has 58 members of staff. Most importantly, the Greek ministry of culture and sports this week confirmed Koskina's own post until the end of 2018. A final hurdle is to reclaim a promised grant of €3m from the Stavros Niarchos Foundation, which was withdrawn in 2015 due to the bureaucratic delays. EMST is currently awaiting the outcome of a funding request to the foundation to pay for equipment and technical studies towards inaugurating the collection galleries on the top three floors of the Fix building. A display of recent acquisitions is currently on show in the exhibition space until 28 January.